Will Blockchain Help in Reducing Cyber Security Crimes? Today, the level of dependency on the Internet has increased and it has opened a whole new horizon for preparing working business models. But with this, new gaps and point of exploitations have opened for the hackers. Cybercriminals are continually stealing financial data, health records, PII and other intellectual information and using advanced strategies to disrupt the overall operation. In this scenario, it is bugging experts, will Blockchain become a hindrance in providing cybersecurity to country folks or will it help in the same? As Blockchain is a decentralized, digitized, public ledger of cryptocurrency transactions and uses Distributed Ledger Technology, it could help in enhancing the cyber defense platform. It has been found out that Blockchain resolves the “lack of trust” problem between parties. 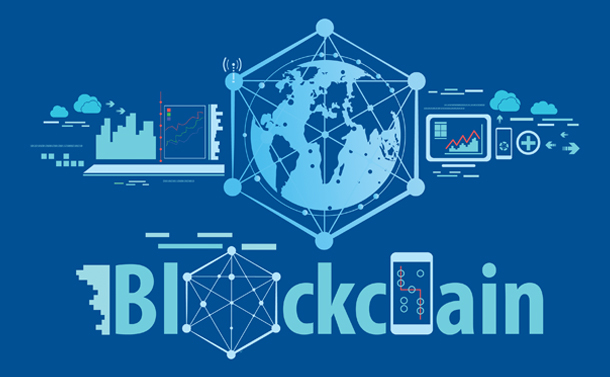 Blockchain is a distributed database that is being used in both public and private applications. The data related to a particular transaction is stored in that block itself and has growth opportunities so that any new data or appended content can also be accommodated. Because of the distributive nature, it provides no hackable entrance or central point of failure. Therefore, it will be a lot more secure than currently operational centralized database systems in which all the data is stored in giant data centers. In case you are still not in favor of implementing Blockchain technology entirely, read further and know how will the field of cybersecurity upgrade for good with this technology. Decentralized Storage– If Blockchain is implemented precisely, then users can keep their data securely in their computer system which is connected in the network. In case someone who is not original owner of the data tries to mess with a data block, the entire system will be examined to locate the data block that differs from the rest. Blockchain is designed in a way that it does not allow power to stay centralized. In a network, every user is identified and has his role to play. This ensures that data stored cannot be modified easily. Even if it does, it will come into notice of all the users in that network. Traceability– Every transaction that takes place in Blockchain is timestamped. This means, whatever action has been taken can be successfully backtracked. So, any new transaction will be appended in the transaction list that cannot be tampered at all. This will offer high-level security to the individuals and organizations. Elimination of Human Factor from Verification- With growth of Blockchain, devices and users will be authenticated without the use of passwords. And, security system that is being used in an organization can use a distributed public key infrastructure for validating the devices and users. The management will provide SSL certificates instead of passwords to everyone, rendering the hackers helpless as they’ll no longer be able to utilize fake certificates. DDos- If you look at the present scenario, the DDos attacks come from the existing Domain Name System, with Blockchain the data will not be stored at one place and there will be too many nodes making it quite difficult to identify the currently operating node to render it useless. These were a few of the most prominent fields which imply that the Blockchain technology will be a boon not a bane to our cybersecurity. There is no denying the fact that Blockchain technology is here to stay and it will not become a burden but it will help us in getting towards the next step without compromising security. The future is quite uncertain, we cannot guarantee anything, however, we can patiently wait and watch what the future holds for us. We hope that Blockchain protects our data the way we are expecting and not just render every system useless by opening new loopholes. Newsletter: Is This End Of An Era For Social Media Platforms?